“A great employee is like a four leaf clover. Hard to find and lucky to have.” – Tammy Cohen. At the Four Frogs, we not only love what we do, we also work hard to instill a warm working environment that our team loves to come to everyday. This month, we shine the spotlight on one of our well-loved team members, Rya. Rya started with us as a barista at our crêperie in Mosman, and then moved to manage the crêperie. Rya now works at our new crêperie in Lane Cove since its opening. With her warm, friendly and bubbly nature, Rya is well known among our regular customers and her hard work and dedication is very well appreciated within the Four Frogs family. What’s your background? I’m originally from Indonesia, living in the mountainous area in Bandung. What is your experience in the food industry? I’ve worked at various cafes and restaurants as it was meant to be a way to fund part of my tuition for an IT school that I enrolled here in Australia. Here I am today, still enjoying hospitality. All have been very demanding, but very rewarding. I’ve learned to handle stressful situations, different methods, as well as how to be part of managing a team when it needs be. I’ve been blessed to have been able to work with so many wonderful chefs and cooks. Working in the food industry has been thus far a great experience. 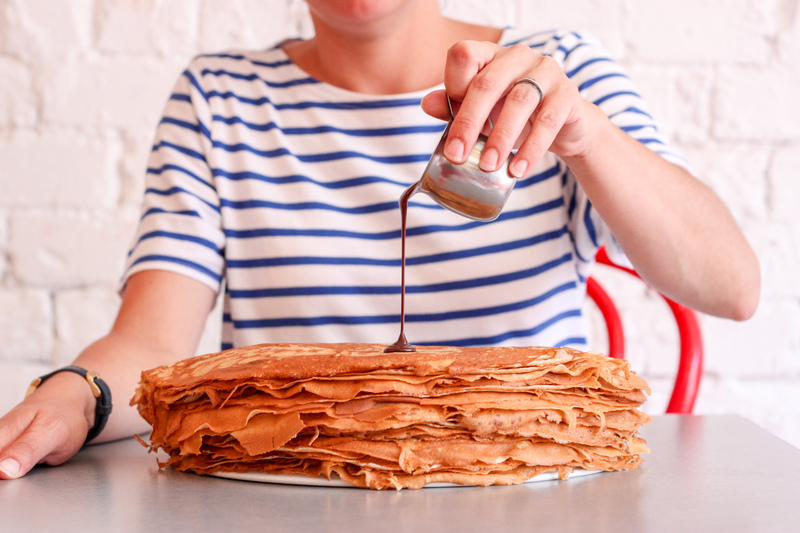 How was it like being a part of the opening of The Lane Cove crêperie ? It was fantastic! I knew it would be busy, but it was way more than I thought! Honestly, it was a lot of fun and we were all working together in such a good mood as we were excited with the new shop. It was also nice to see some old customers from other branches come and visit us. The built up to the opening is really good too knowing what each one of us has to do, and trust each other to do each job. It was a feeling of ease and comfort. What is your all-time favourite Four Frogs dish? I love the homemade chocolate syrup, always, always, always. If you could be a famous actress, who would it be and why? Oprah haha (yes she’s not quite acting, but still in action in front of the cameras ). She is really different from any other host. A philanthropist and even though she had such a difficult time in her early life, she’s still kind to others and working to thrive and succeed in any way she does. What ingredients would you like to see in our galettes and crepes? After having tried the last special (Paris Brest) , I wonder if there are any other ingredients from famous local cuisines from other regions that can be implemented in the crepes/galettes! Say hello to Rya the next time you’re at our crêperie in Lane Cove! Opening hours at Lane Cove.